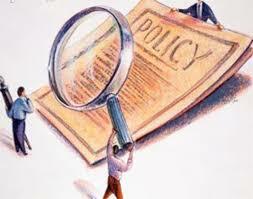 That Insurance policies have been mis-sold in the past years is a known fact. But this crude reality has always existed. By definition, mis-selling means selling a product by giving a wrong picture of a product, it may include, giving wrong information, giving unrealistic information, not giving full information about the product. Everybody knows the importance of life insurance policies in the life of an individual but most of the life insurance policies that the agents or companies push your way are not what you need? If the insurance was not suitable for your circumstances when you were sold it then you may have been victim of mis-selling. Implying that insurance is compulsory when it isn't is effectively conning you into taking out cover like for home loan cover, personal loan etc. The most prominent cases of mis-selling occur when someone is buying a Unit Linked Insurance Plan (ULIP). In a ULIP, the money invested in by the policyholder in the form of premiums is directly invested in to funds of his choice. These funds provide returns to the policyholder on the basis of market stock market performance. The incentive structure has also encouraged misselling. “Investors don’t lose out because of insurance products, they lose out because of misselling. And this can be checked only if you incentivize the agent to sell for the long term. What ought to be done to avoid mis-selling? Consumers need to be more efficient while investing there money and need to be more pro-active in doing research before they are investing in any insurance products. The onus lies with the customers to become aware of their needs and understand when an agent is trying to dupe you by pushing their sales. Customers pushing the agents to hurry up the process and complete the formalities since they need to be on their way should be avoided and take your time to go through the fine print. While going in for insurance, always keep in mind the premium amount which has to be paid periodically. High premium oriented insurance taken without much thought often get lapsed and forfeited. Your friend or family may recommend an insurance agent or company to you who create an obligation to do business and saying no may seem like annoying the acquaintances but the final decision is yours to take. Do not go for an insurance product if you are not convinced. Before opting for insurance, one should check his or her own insurance needs as to whether ULIP policy is suitable to them or an ordinary savings based insurance plan or a pure term insurance policy. Discount on premium amounts and tax exemptions are incentives, which agents dangle before the clients but that should not be the only criterion for taking an insurance policy. Remember you may be missing out the bigger picture in your hurry to clinch small and often worthless gains. Be sure when getting insured.